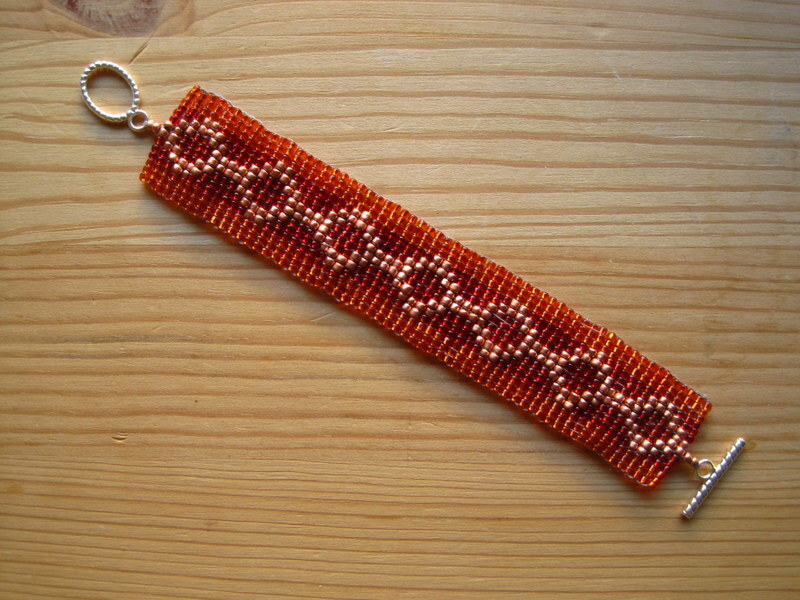 Now that I’ve started making these bead loom bracelets…I can’t stop. 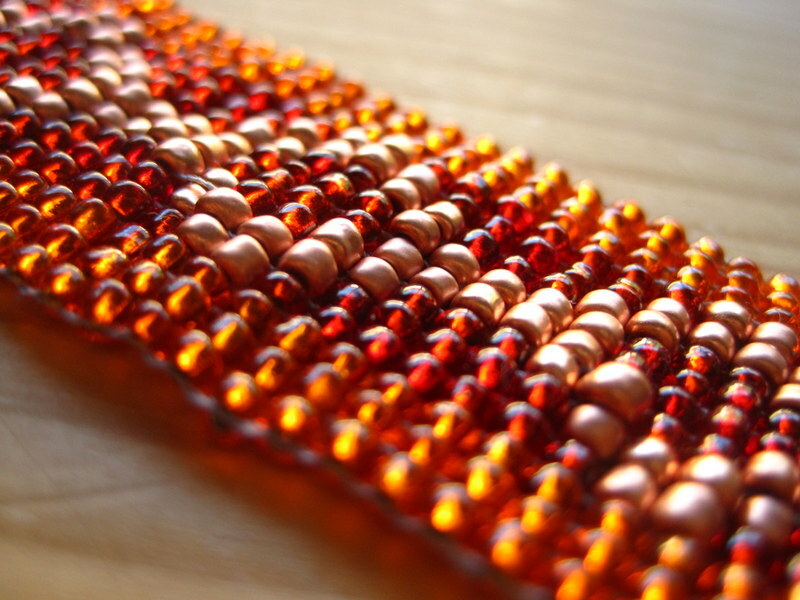 I love the act of weaving and the feeling of a fabric that’s created by the beads. I love watching them come together. And I love designing them. And I love choosing the colors. (So basically, I love all of it…a recipe for addiction!) When I set the beads out for this one, I told Eric I wanted it to look like fire. And I’d like to think it does. 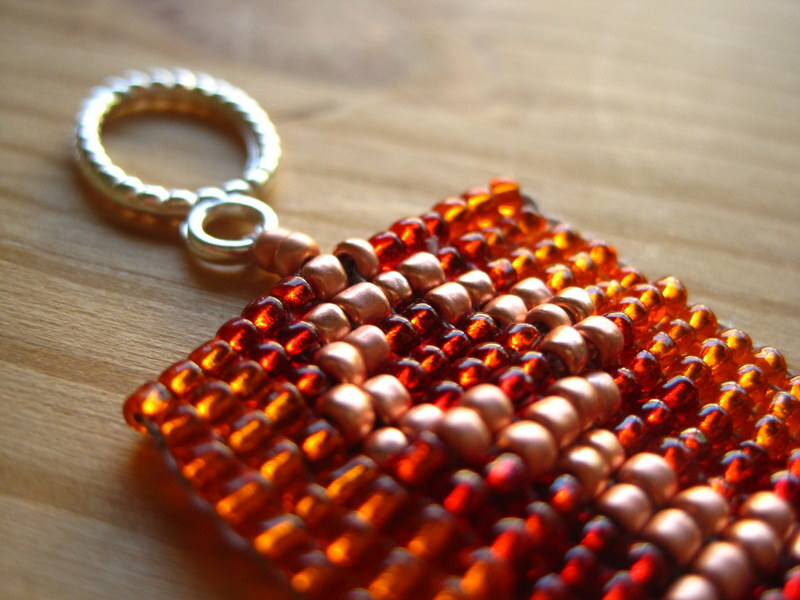 I really wanted to show off these copper beads, and I love the way the orange ones pick up the light. I love having these beauties around my wrist! Gorgeous! I am so jealous! The colors are simply glorious, and you made it yourself! What could be better? Thank you! I have had so much fun with it! Yes! Etsy! I am Cameron’s mother, and I approve this message! These are beautiful! How do you end them so well without the strings showing? Thank you so much, Brittany! 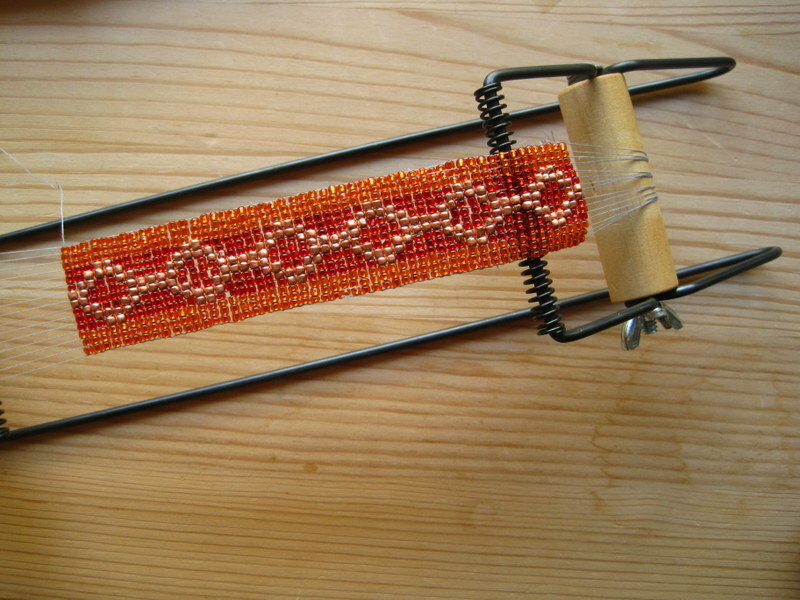 You just use the beading needle to weave the strings in. Really easy!